The way the body can track the passing of the seasons in a “chemical calendar” has been discovered by scientists. The team, reporting in Current Biology, found a cluster of thousands of cells that could exist in either a “summer” or “winter” state. They use the lengthening day to switch more of them into summer mode and the opposite when the nights draw in. The annual clock controls when animals breed and hibernate and in humans may be altering the immune system. A team from the Universities of Manchester and Edinburgh analysed the brains of sheep at different times of the year. They found a cluster of 17,000 “calendar cells” in the pituitary gland, which sits at the base of the brain, and releases hormones that control processes throughout the body. The research team say the cells have a “binary system” like a computer that can exist in one of two states – they can either produce “winter” chemicals or “summer” ones. And the proportion of the calendar cells in each state changes throughout the year to mark the passage of time. 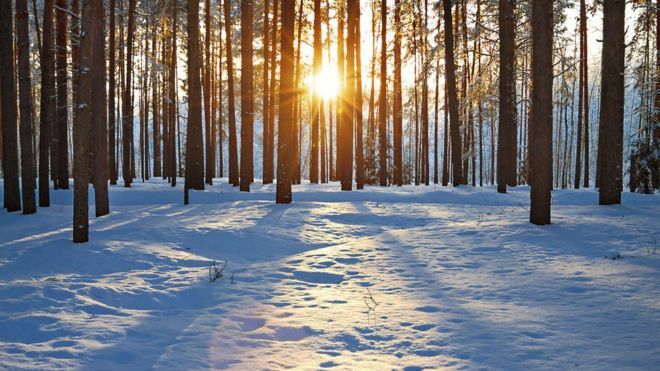 “It looks like there’s a short period of the year in the middle of winter and the middle of summer when they are all in one state or the other,” Prof Andrew Loudon from the University of Manchester told the BBC. 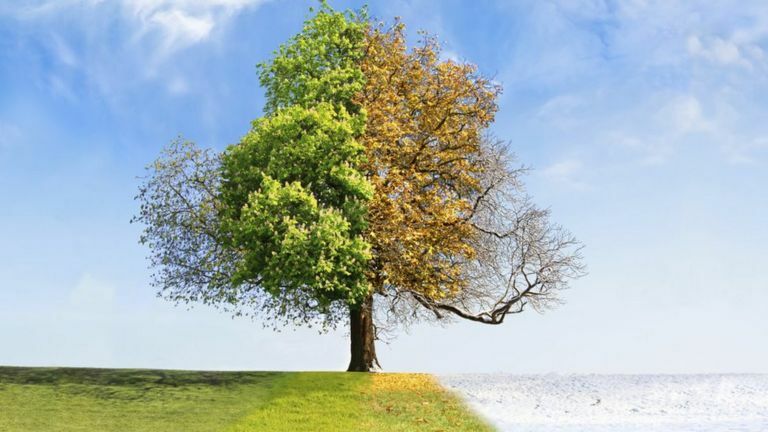 However, it is still not clear how the body knows it is spring or autumn when some calendar cells are in winter mode and others are in a summer state. This annual clock is known as the circannual rhythm and is the longer-term cousin of the circadian or daily rhythm which keeps us awake at the right time of day. Both the daily and annual body clocks are controlled by light. More of the sleep hormone melatonin is produced in the winter when the days are darker. His colleague Prof Dave Burt, from the University of Edinburgh, added: “The seasonal clock found in sheep is likely to be the same in all vertebrates, or at least contains the same parts. Even though people do not have a mating season, there are signs we are still influenced by the seasons. A study earlier this year, led by the University of Cambridge and reported inNature Communications, showed human genes involved with immunity became more active in the cold. They said it could help fight off winter viruses such as flu but may make some conditions like arthritis worse.